FIVE. Time. We’ve started with the easiest resolution to keep – and that’s to spend more time with your pet, because time is what your beloved pet needs the most. Spend 15 minutes a day teaching a new trick, brushing or simply playing with a favorite toy. Set aside time each day to do something special for just the two of you. FOUR. Dental Care. 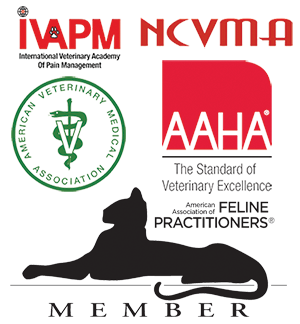 Dental care is the most overlooked part of a pet’s overall health regimen. Make this the year that you take better care of those pearly whites. THREE. Prevention Meds. We know. It’s hard to remember those prevention medicines, but it’s crucially important to protect your pet against fleas, heartworms, and other parasites. TWO. Exercise. Every pet needs exercise, even those that are not overweight. Exercise helps your pet’s behavior, aids in digestion, and generally helps overall health. ONE. Lose weight! Obesity is a huge problem for pets as well as humans. Resolve to help your pet lose that puppy – or kitten – fat! Studies show that over half of pets are overweight, and this is a great time to tackle those extra pounds. And since it’s (wayyyyy) easier to make resolutions than to keep them, we’ll be posting some practical details on how to keep these lofty goals. 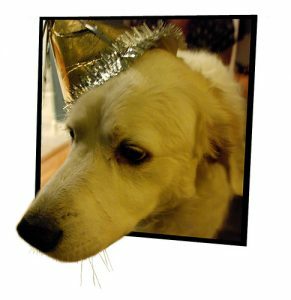 Watch our website and our Facebook page, and turn your countdown to the New Year into some new habits that will benefit you and your furbabies in 2017 – and beyond.